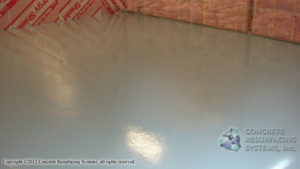 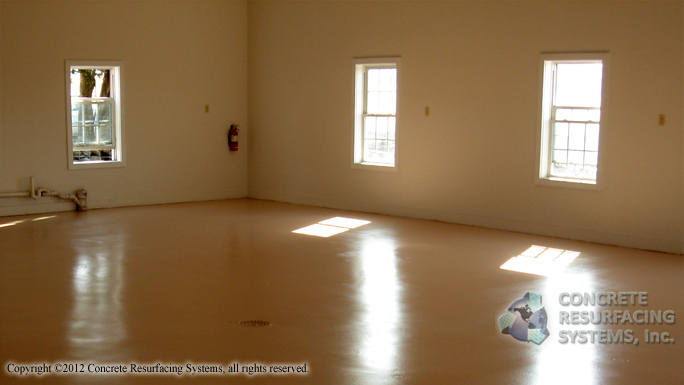 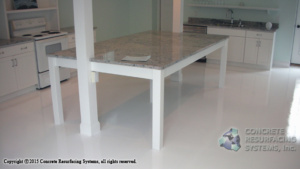 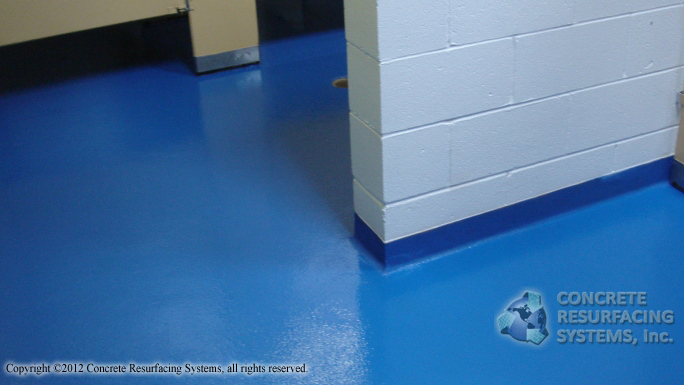 Concrete Resurfacing Systems, Inc. offers many types of epoxy flooring. 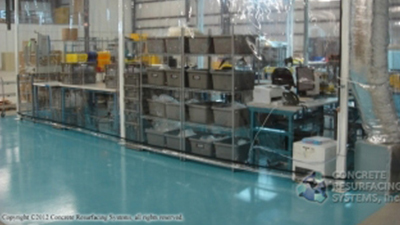 The examples shown on this page are of epoxy flooring with solid color, seamless epoxy coating. 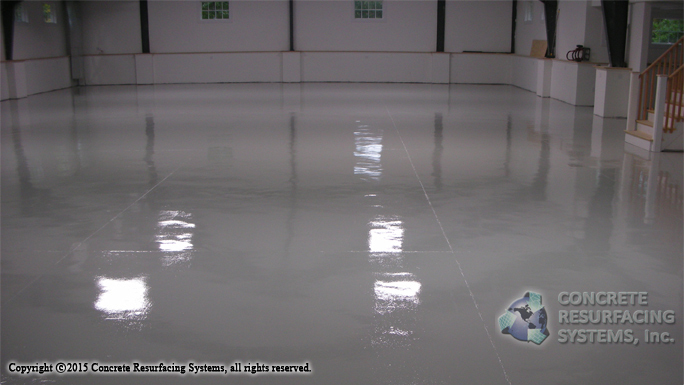 In most cases, the epoxy is applied over concrete, although we do offer many products which can be applied over other substrates. 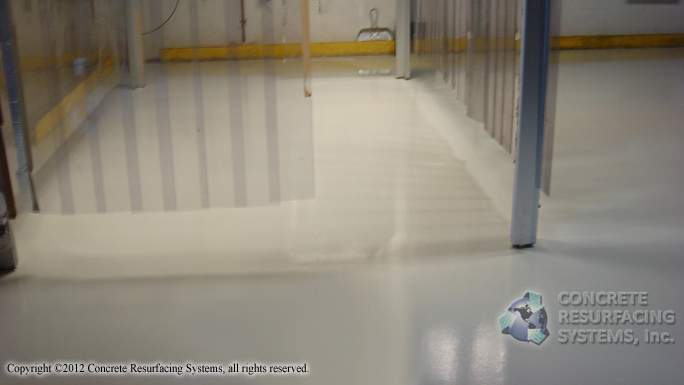 We can finish these floors with anti-slip / anti-skid coating, and with high gloss urethane or 100% solids epoxy top coats. 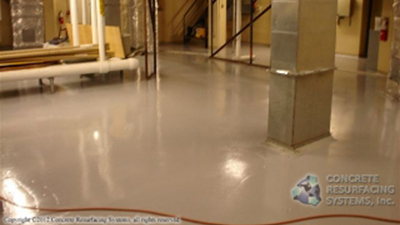 We work with several epoxy manufacturers, and have epoxy products that are specially designed not to lift from heavy use, (e.g. 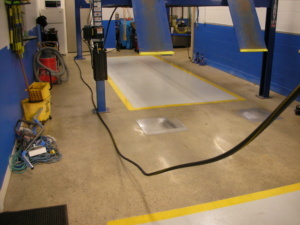 forklifts or automotive traffic, etc). 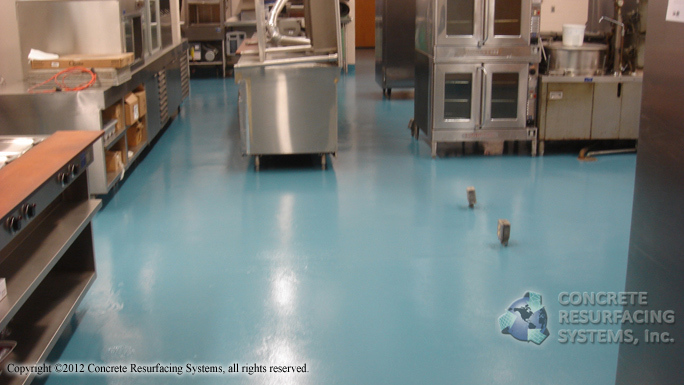 Other epoxy formulations are available for food service, chemical processing and other specialized epoxy flooring needs. 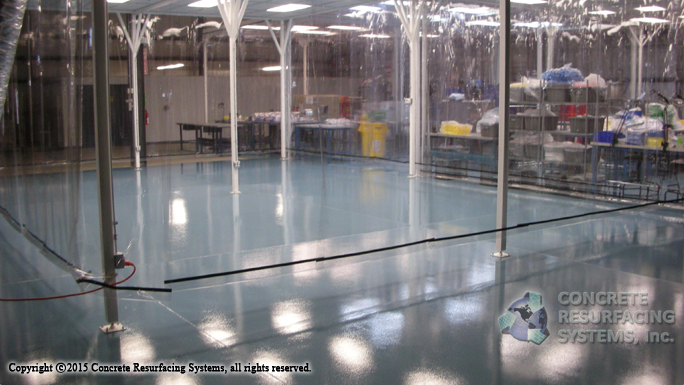 Epoxy Flooring can also be used in conjunction with other concrete based floor systems including polished concrete, paint chip / color flake flooring systems, decorative concrete resurfacing, stamped concrete and and other new or existing floor coatings. 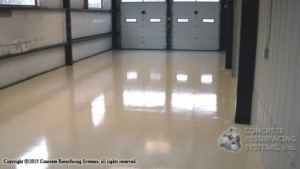 Click here for more photos of Auto Service flooringEpoxy top coats can be applied directly over many types of existing flooring, (even floors with wood underlayment / sub-flooring), and can actually strengthen, revitalize and extend the life of older, faded or worn flooring surfaces. 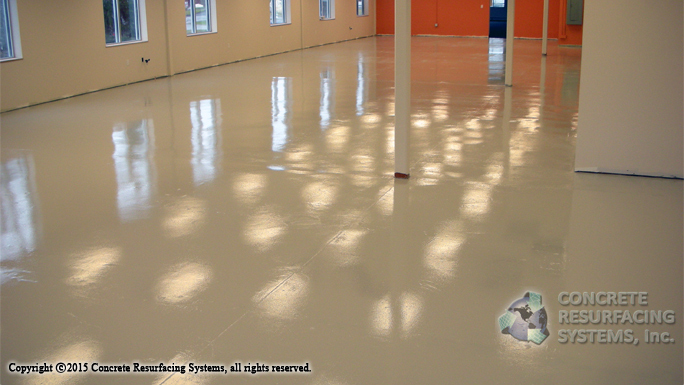 In this Massachusetts Auto Repair Shop, epoxy coatings were used to create specific work areas and markings on a polished concrete floor.